« Howdy Pardner! It’s Stick ‘Em Up Friday for January 4th ~ List All Your Giveaways Here! 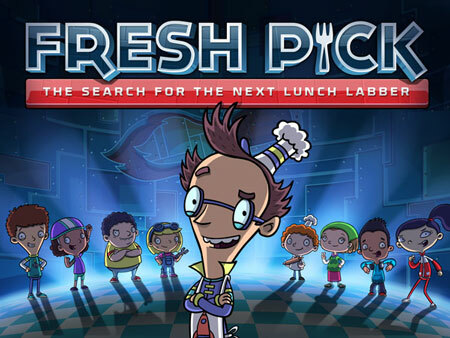 Professor Fizzy is holding a competition to see who has what it take to be the next Lunch Labber! Kids put math and problem solving skills to the test while navigating their way through the grocery store, coming up with the right amount of change in the check-out line, and successfully serving food to a room full of hungry customers. For iPad, Kindle Tablet and Nook Tablet for kids ages 6 – 8. Watch videos from your favorite PBS KIDS television series anytime, anywhere (in the USA). 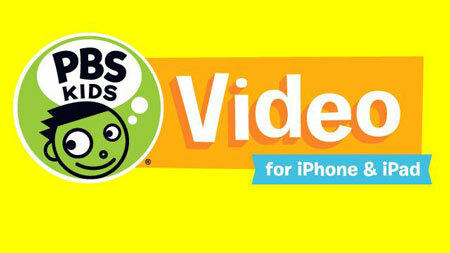 “PBS KIDS Video” features more than 1,000 videos from over a dozen top PBS KIDS and PBS KIDS GO! television series, including Curious George, The Cat in the Hat Knows a Lot About That, Dinosaur Train, SUPER WHY!, Sesame Street and Wild Kratts. For iPad, iPhone and iPod Touch for kids ages 3-6. FETCH! 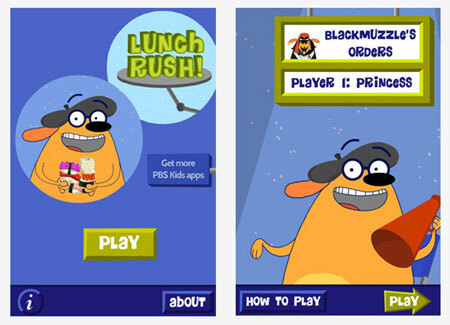 Lunch Rush is PBS KIDS’ first mobile app featuring Augmented Reality technology – a term for blending the virtual and real world into a truly engaging experience. The app will teach kids ages 6 to 8 math skills while blending a virtual world right on top of the real one. The multi-player app is designed as a 3-D game, which helps kids visualize the math problems they are trying to solve. In the app, Ruff Ruffman is making a movie and needs kids to help him to keep up with lunch orders from the movie’s crew. The challenge is keeping track of how many pieces of sushi everyone wants using augmented reality “markers” or printable hand-outs that prompt ac tivity within the mobile app. For iPhone and iPod Touch. “Wordball” aims to help players 5 & up increase their ability to manipulate sounds in spoken words and then map those words to print. Discover the wonders of the silent E, the hard and soft sounds of C (as in “cat” and “ace”), the transforming powers of the letter H (the sounds ch, sh, th), and much more! 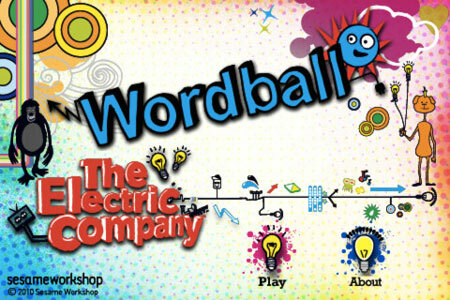 Players look out for wordballs and catch them if they can as they groove to 9 game-enhanced music videos starring Ne-Yo, Jimmy Fallon, Lin-Manuel Miranda, and their favorite characters from The Electric Company. 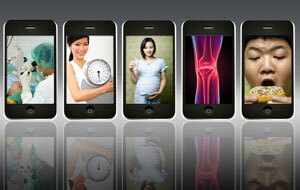 For iPhone and iPod Touch.